Anglo-Norwegian artist Sasha Siem releases a new single “See Through,” which is taken from her forthcoming acclaimed debut album, Most Of The Boys (June 30). The single is released with a remix bundle today June 2 via iTunes. Along with the original version, the EP contains remixes by Highasakite, and Scandinavian artist du jour- East India Youth, backed by the bonus B-side of "Proof" remixed by Matthew Herbert. XLR8R credits Herbert for "keeping the haunting vocals of the original, but melds them with industrial-tinged percussion, floating pads, and a rumbling low end." 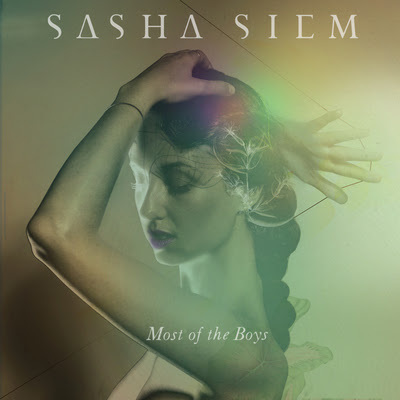 Written during a spell in Berlin and later produced by Valgeir Sigurðsson (Sigur Ros, Bjork, Bonnie Prince Billy, Feist) at Reykjavik’s legendary Greenhouse Studios, Siem’s debut LP Most Of The Boys is a song cycle. Its twelve songs are as linked by their themes as by the sonic world they inhabit - born of an unlikely collusion of influences that Siem has woven together: her years spent composing and performing award-winning contemporary classical music; her fascination with like-minded lovers of innovative songwriting and unusual arrangements and her youthful love of the canon of great songwriters that emerged in the 1960s. At its core, Most Of The Boys is a love story; the songs demonstrate a protagonist on a quest through a series of entangled relationships and binding attachments. The LP boasts beautifully intricate instrumentation on the album’s opening title track, powerful drama in the climax to “Proof,” while “My Friend,” “Tug Of War” and “Silence” highlight Siem’s majestic vocal delivery amid aching, placid melancholy. It is frequently startling – both musically and lyrically – and betrays a rare love of words and wordplay, something displayed right from the album’s opening lines.